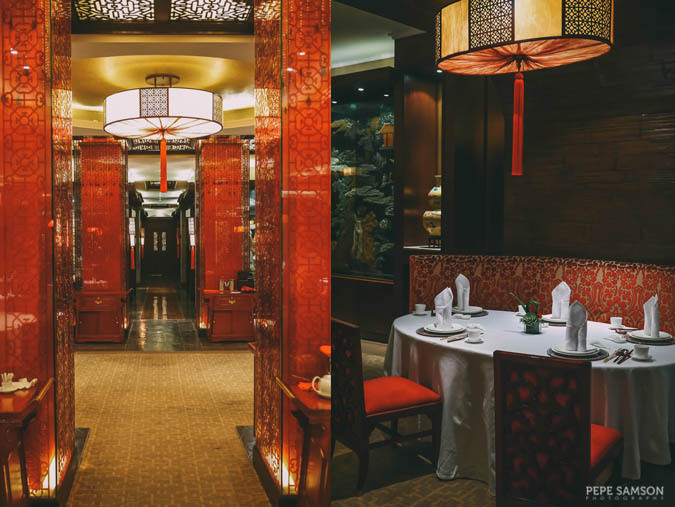 Walking into the newly opened Red Jade Chinese Restaurant at The Manila Hotel feels like being transported into a different world. From the grand details evoking a sense of antiquity in the hotel lobby, all it takes is stepping into an ornate door to discover a new yet equally majestic setting. 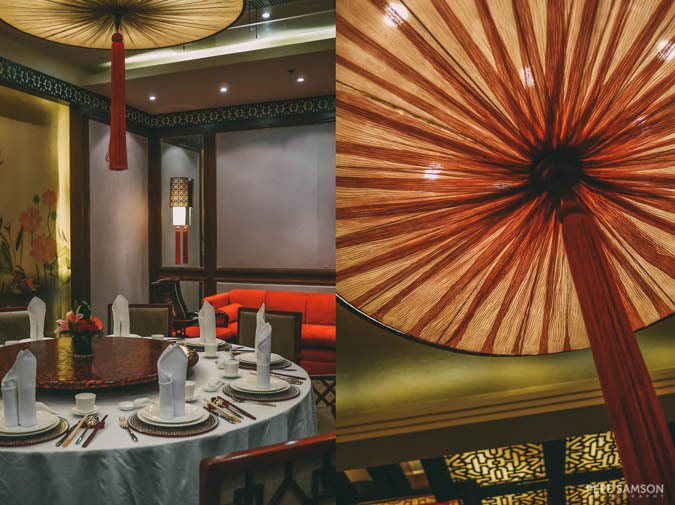 What was once called the Mabuhay Palace is now Red Jade, drawing inspiration from China’s favorite color and lucky gemstone. And with its fine lineup of Chinese (Beijing, Shanghai, Szechuan, Cantonese) dishes, the new name couldn’t have been more perfect. 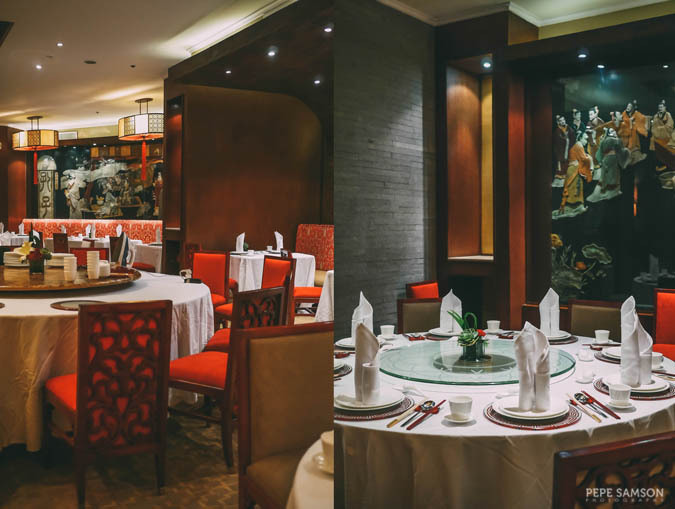 The restaurant’s interiors are truly an illustration of understated elegance. A luxurious ambience permeates the space, with dramatic lighting, white tablecloths creating a lovely contrast with the red tones all around, stylish wallpapers, and detailed ceilings. A receptionist greeted me upon arrival and led me to a private dining room, where other friends from the media were already seated. This area is cozy and intimate, perfect for families or big groups eager for some private quality time. My lunch mates were already enjoying their main course when I came (I hate you, Manila traffic), but the servers didn’t make me feel like I needed to rush. Instead they asked me what beverage I would like, before serving me my appetizer—a plate of three different kinds of dim sum. 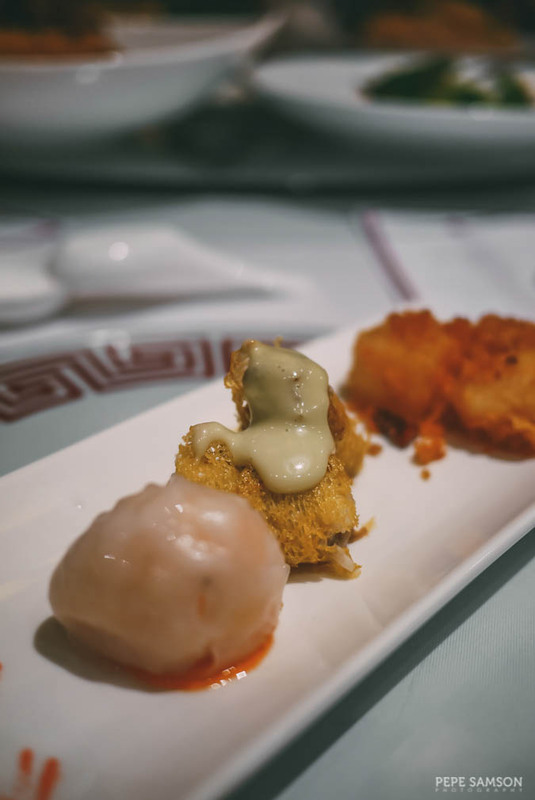 The Steamed Shrimp Dumpling (Har Gao) is succulent and delicate: the flavors of the shrimp explode in your mouth after one bite. 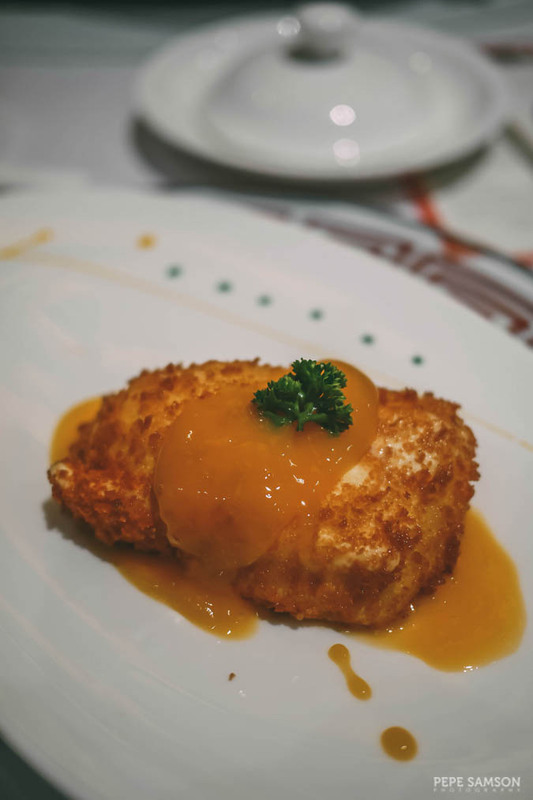 I liked the fluffy Pan-Fried Radish Cake too, but among the three, my favorite was the Crispy Fried Shrimp Stuffed with Cheese, which was simply luscious. I loved the play of different textures. The Seafood Spinach Soup was served next, a hearty bowl that only further roused my appetite for what’s ahead. Once I finished my soup (it was very good, by the way), the servers came back with my Wagyu Beef with Olives Fried Rice and Szechuan-Style Dan Dan Noodles. The former, fragrant and flavorful, eliminated all my attempts to skip rice—it was incredibly delicious and perfect with all the other dishes. The noodles, on the other hand, was simple yet stunning. The minced pork and vegetables sitting atop the noodles were held together by a spicy sauce I enjoyed so much. 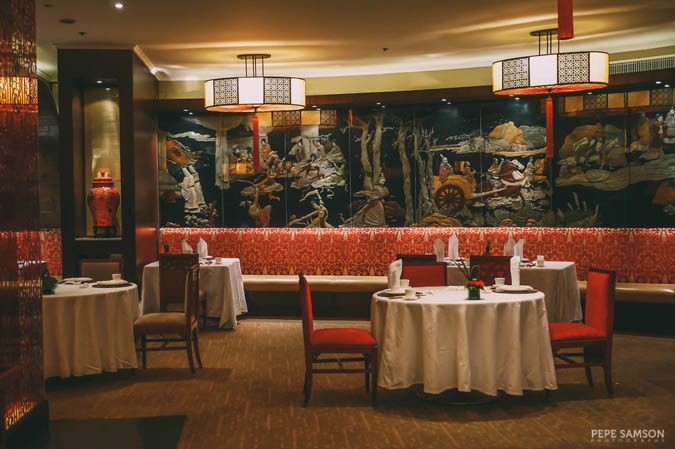 If you love seafood, get the indulgent Lobster Glazed with Sliced Almonds or the Fried Stuffed Scallops with Crab Roe Sauce. Both dishes burst with flavors of the sea without being too overpowering. 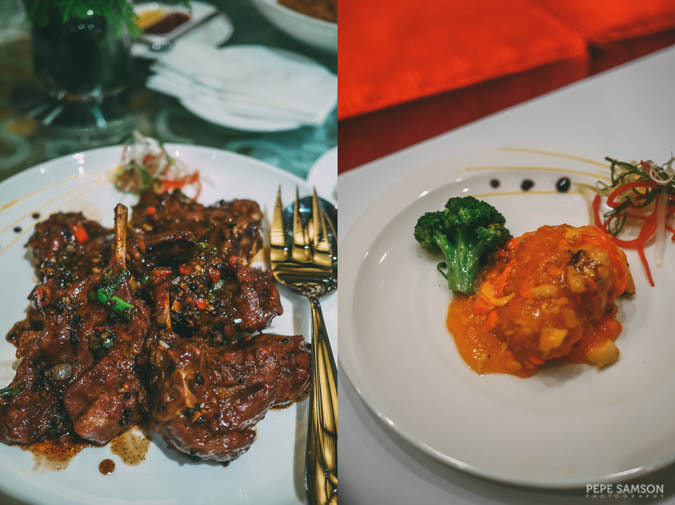 If you prefer red meat, the Pan-Fried Lamb Chops cooked with red wine and honey pepper sauce would be a good choice. 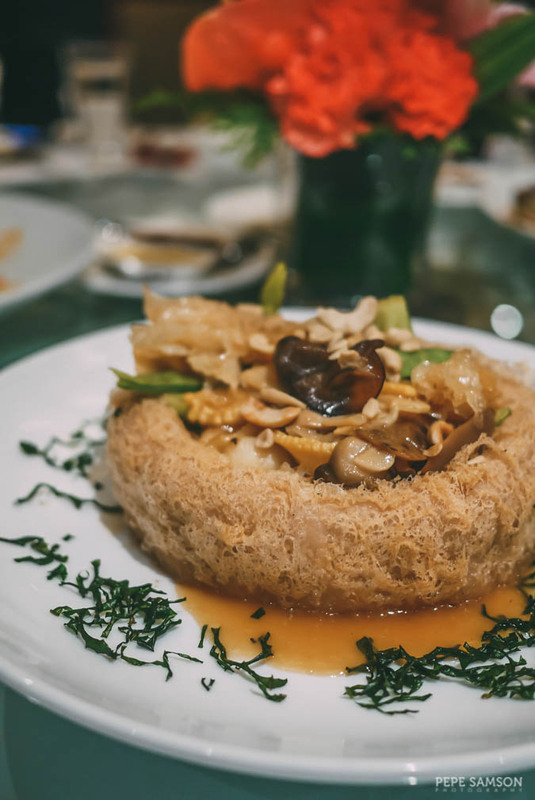 Vegetarians don’t need to worry as Red Jade has a number of good dishes to choose from, like the Braised Lo Han Chai in Taro Ring, made with mushrooms, baby corn, chestnuts, and a variety of vegetables. Up until dessert, Red Jade wasted no time making us impressed. It did so with the Fried Ice Cream with Mango Sauce, a delightful fusion of hot and cold, of crisp and creamy. I lingered on my plate because I didn’t want to finish it. I didn’t want lunch to finish. 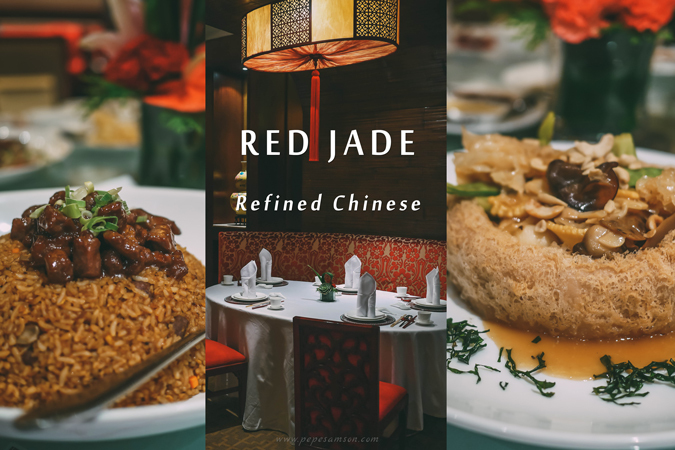 With its name readily conjuring an image of a place filled with luck and prosperity, Red Jade will surely be a venue for joyous celebrations over expertly-prepared food, flawless service, and a refined atmosphere. It promises a place for food to be prepared as an exuberant experience—and I can’t wait to go back. 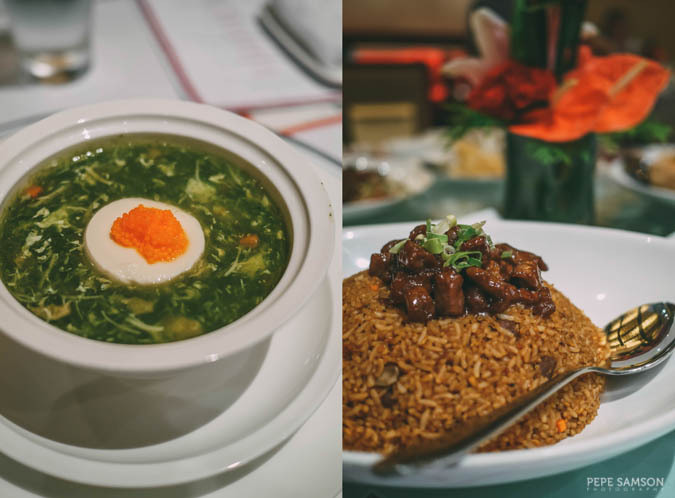 Do you love Chinese cuisine? What do you think of Red Jade?